Recipe by Naiya Sheth: In past we made different types of toasts like cheese chilli toast, pasta toast and baked beans toast.And now it's time to make everybody's all time favorite tandoori paneer toast. It's very and delicious. If topping is ready it is very easy to assemble. 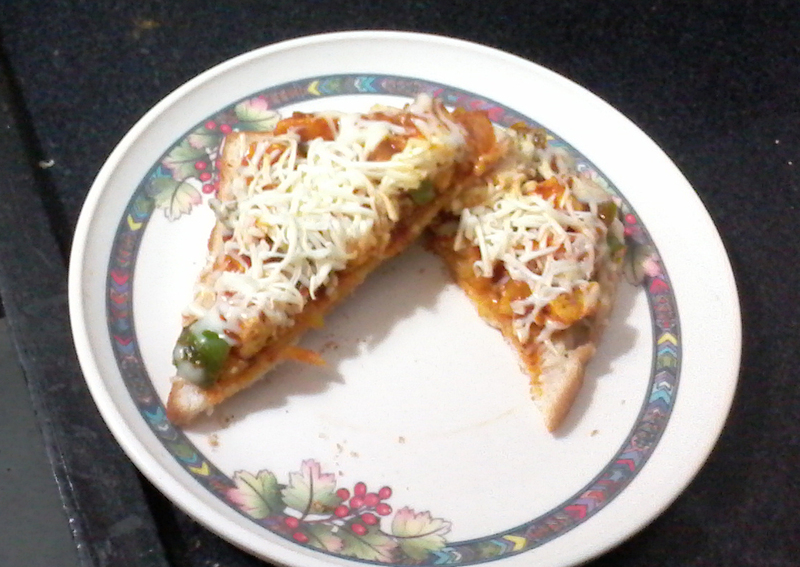 So let's try this mouth watering home made recipe of tandoori paneer toast today as snack or break fast. In a non-stick pan add oil and when it's hot add garlic paste to it. Now add chopped onion and cook for 1 minute. 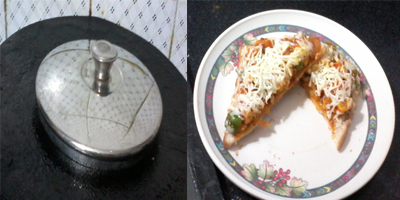 after that add spices and capsicum to it. again cook for 1 minute. At last add paneer cubes and tomato ketchup to it and mix well. Again cook for 1 minute. Our topping is ready. Keep aside. Take a slice of bread and spread some butter over it. On that top with above topping. Spread properly and cover with grated cheese. Put on non-stick griddle - tavi and cover, Cook with cover at slow flame for 4 to 5 minutes. Hot and mouth watering Tandoori Paneer Toast is ready to serve. Repeat the same for remaining. Same process can be done in the oven also. For that bake in pre heated oven at 180`c temp. till cheese melts.